Amtrak, the U.S. national rail carrier, has extended its partnership with SilverRail for a further three years. Under the agreement, SilverRail, the developer of the first global distribution platform specializing in passenger rail, will continue to distribute tickets for Amtrak's entire network to customers all over the world. Additionally, it will enable the purchase of eTickets for SilverRail's customers worldwide — an Amtrak innovation with great value to all, particularly corporate travelers. The three-year agreement will build on the longstanding partnership under which Amtrak benefits from being incorporated into SilverRail's global multi-country ticketing platform, SilverCore. The platform integrates operators across multiple countries into one system that can be easily accessed by online travel agents (OTAs), travel management companies and traditional travel agents to book domestic or international rail travel for leisure and business travelers. "Amtrak carried a record 31.6 million passengers in Fiscal Year 2013, and has broken ten ridership records in the last eleven years. By providing a user friendly platform for our customers nationally and internationally to buy our services, SilverRail has helped us keep pace with this growing demand for rail." said Matt Hardison, chief marketing and sales officer at Amtrak. 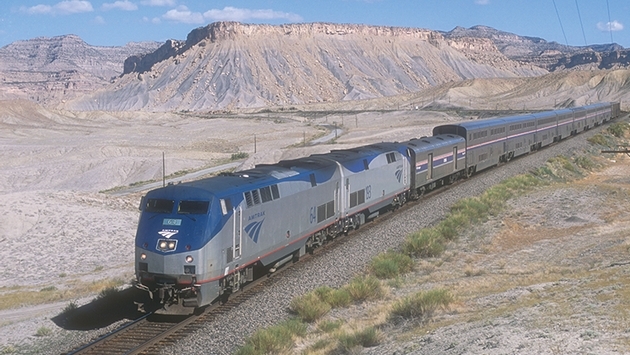 "We greatly value Amtrak's continued reliance on SilverRail to connect rail passengers from across the world to their network. This is a fantastic endorsement for SilverRail and our goal to enable simple global booking of rail travel so it can be as easy as booking flights," said Alain van West, vice president business development at SilverRail. SilverRail works with rail companies across a number of countries including the USA, UK, Germany, Spain, Belgium, the Netherlands, Luxemburg and Canada.